Start your day with a free, hot breakfast before heading to a tournament at West Tennessee Healthcare Sportsplex or a campus tour at Union University. 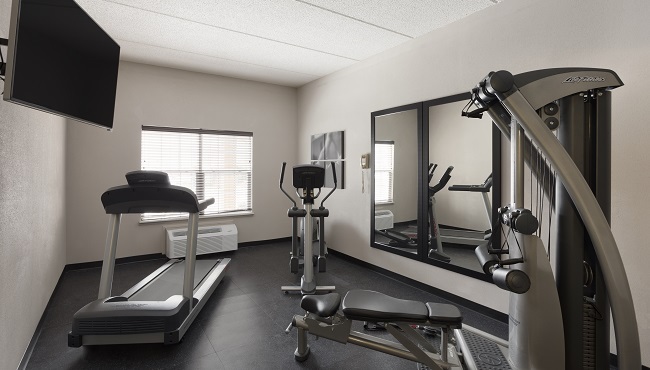 The Country Inn & Suites offers convenient amenities like a well-equipped fitness center and free parking to help you relax after a day of exploring Jackson, TN. If you’re traveling for work, take advantage of 24-hour access to our business center and the ability to reserve our on-site meeting spaces. Fitness Center with Treadmill, Elliptical and Weights, Open 7:00 a.m. - 10:00 p.m.